The Atwater Library and Computer Centre fosters positive digital citizenship and we engage people in creative new media production. Since 2007 we have worked with over 65 partner organizations and schools and through them, more than 5,000 individuals ranging in age from 6 to 96. Here’s a rundown on current and past activities. To find out more, see our blog or contact Digital Literacy Coordinator Eric Craven at dlp@atwaterlibrary.ca. Ageing, Communication, Technologies (ACT) funded Digital Literacy Project Coordinator Eric Craven to make a presentation on our Digital Music Making for Seniors project at the “Music, ageing, technology” symposium at the University of Eastern Finland in mid-May 2016. ACT also funded Eric Craven to take part in the ACT annual meeting in Bucharest, Romania in September 2015. The meeting was a good opportunity for him to connect with ACT’s international partners and share information about seniors using digital media. 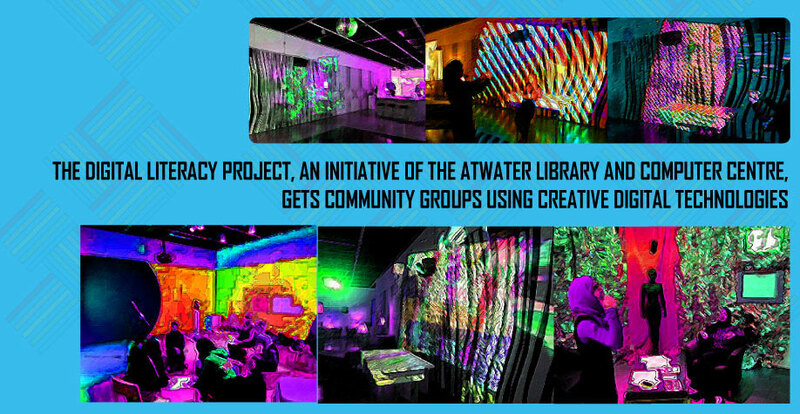 For more information about the Atwater Library’s Digital Literacy Project, contact Project Coordinator Eric Craven at dlp@atwaterlibrary.ca or 514-935-7344 ext’n 207.